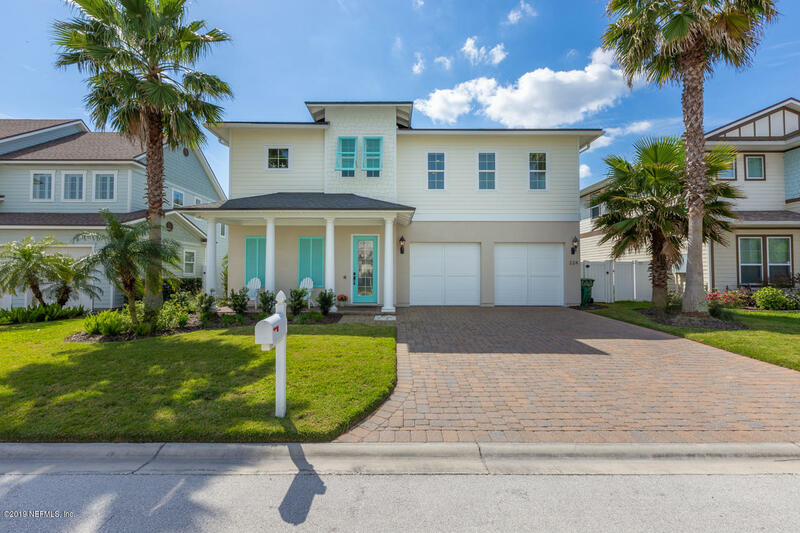 Just a short walk to the beach from this perfect custom home by john merrill homes! It's ready for you to be it's new owner! 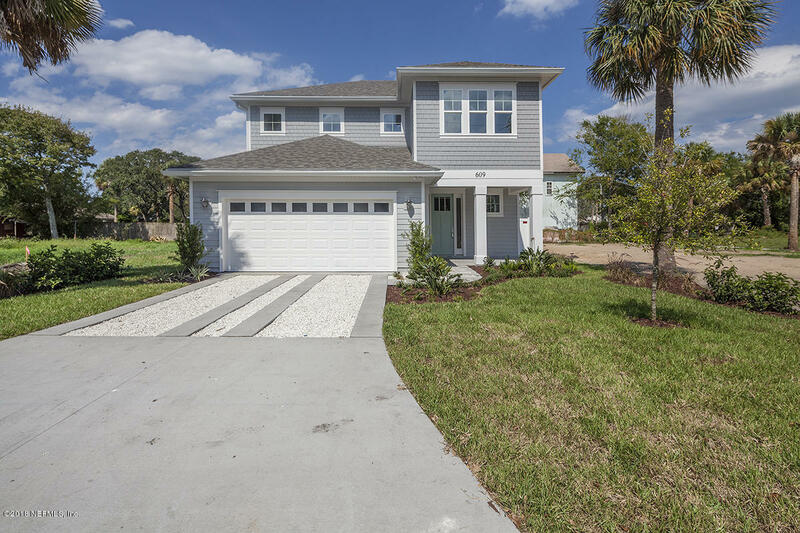 Immaculately maintained, this light and bright ''st johns'' floor plan is open and inviting. 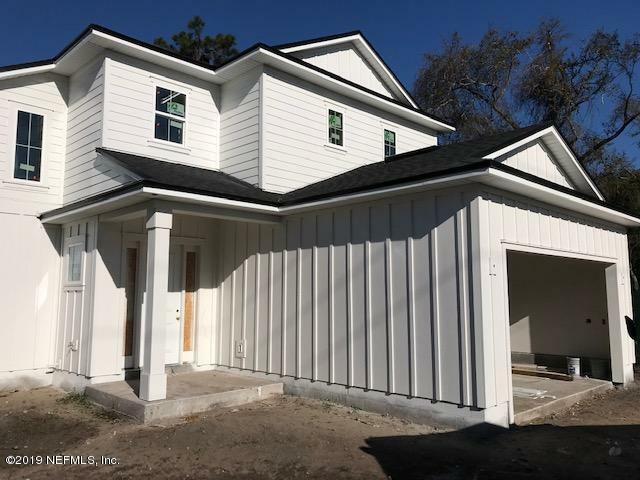 Upstairs master features a tray ceiling, large master bath with brand new frameless shower enclosure and a tub you want to sink into. Two comfortable secondary bedrooms with bathroom; laundry room round out the upstairs spaces. A comfortable guest suite with bathroom is located on the first floor. Stainless bosch appliances, granite countertops, custom soft close cabinetry and more make cooking and entertaining a dream. 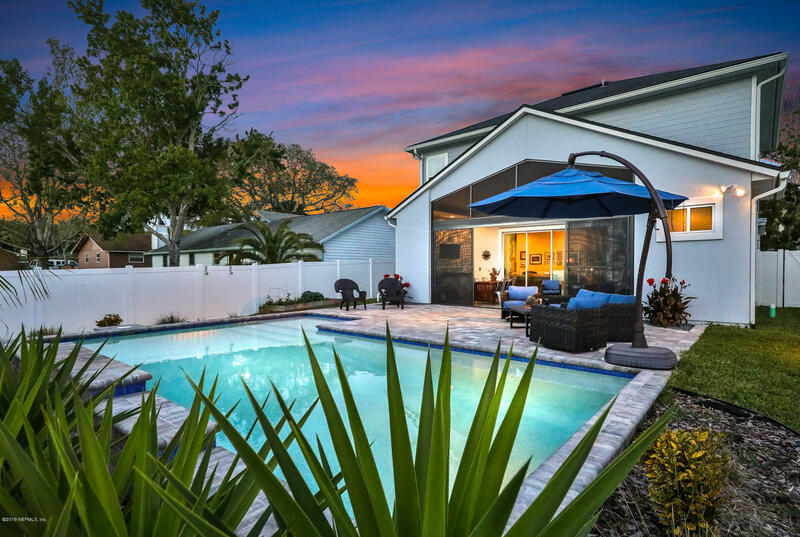 You'll love relaxing in your tropical paradise back yard, under the pergola while playing your favorite tunes on the outdoor speakers. 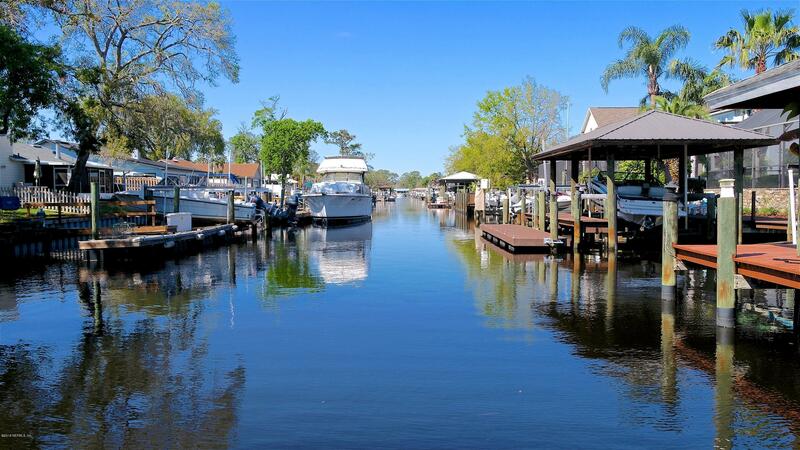 Indulge in island living with a beach town setting & the luxuries of the modern residence. French doors welcome you to the lower level of this 2-story custom abode. Spacious family room opens to the kitchen. Plantation shutters & sand-toned travertine floors complement your decor. Stainless steel appliances surround the island for a modern taste. Butler's pantry & wine cooler in the dining area mean you're ready for any dinner party. Bedroom with full bath downstairs for guests or office. Master suite upstairs features a professionally fitted walk-in closet & pristine bath with large jetted tub & walk-in shower. 2 bedrooms & laundry also upstairs. Open porch with lush landscaping of the tropics. 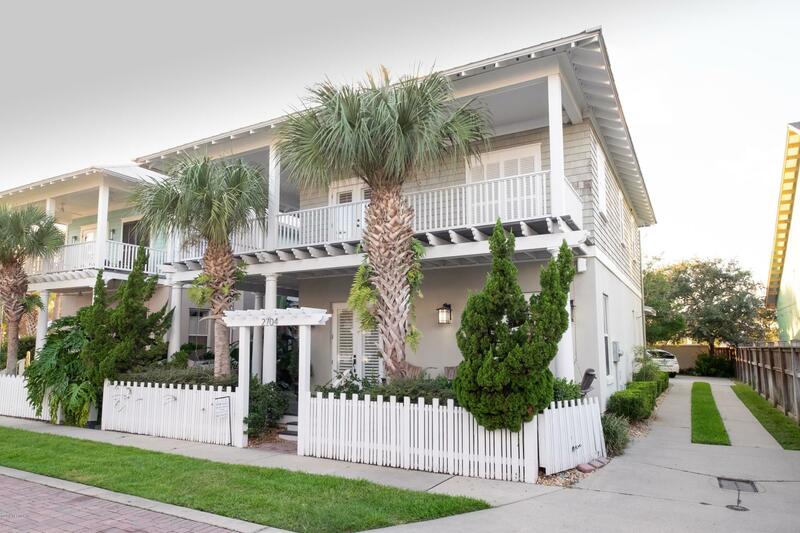 Bike to the flavors of jax beach cuisine, the atlantic ocean, or the ponte vedra inn & club. 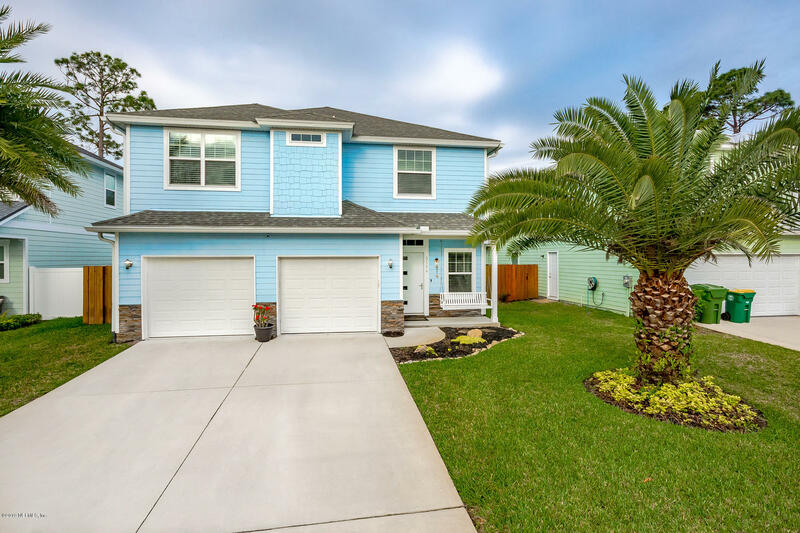 Sh designs newest offering in jacksonville beach. 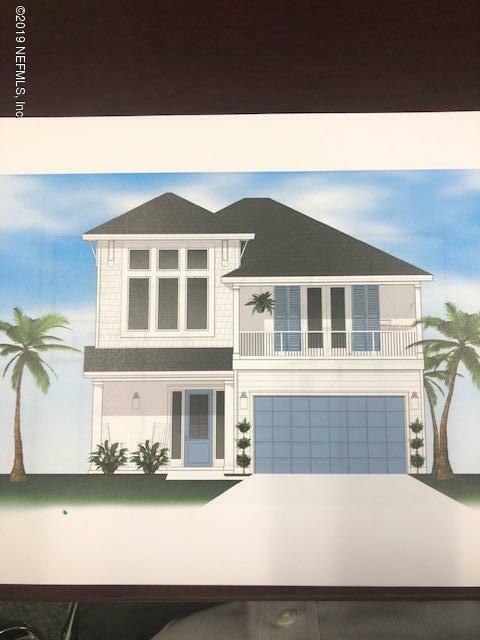 This incredibly roomy and stylish beach home will offer all of the latest trends in new home construction. Some of the reasons you will want to call this your new home include delta plumbing fixtures, kohler undermount sinks, stainless steel ''bosch'' appliances, wood & tile floors per plan, 42'' full overlay wood kitchen cabinets, ''james hardie'' coastal architectural lap/shake/board & batton exteriors, home is roomy w/ large covered lanai across the rear of the family room, 10' ceilings & rear of lot is perfect for adding pool that has already been pre-approved by the city of jacksonville beach. 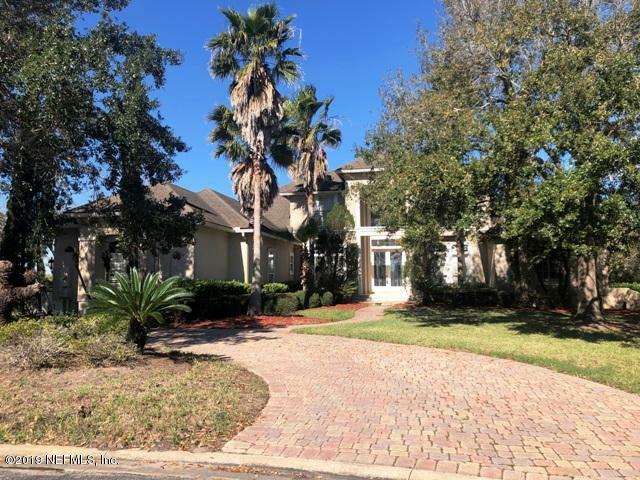 Perfect south jax beach lot location enjoys easy beach access as well as convenience to beach dining, shopping and more. Enjoy beach living now! 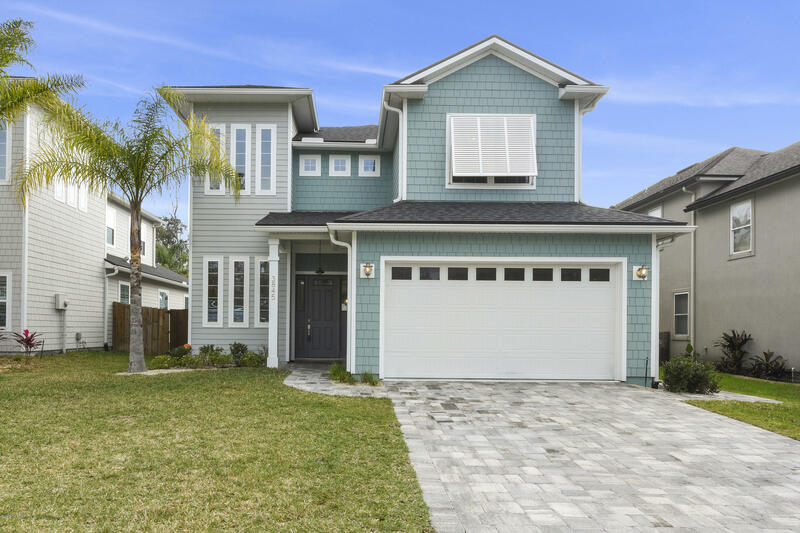 New custom home by barnes construction features 4 bedrooms and 3. 5 baths. 2 master brs, owner's bedroom & bath on the 1st floor and another owner's suite upstairs with it's own private balcony. 2 laundry rooms. Complete with a chef's kitchen, stainless appliances, granite and high end appiliances. A second floor large family/flexspace for the second floor to use as a media room or what ever. Plenty room for a pool for outdoor entertainment and exercise. Floor plans subject to change based on customer wants and needs.